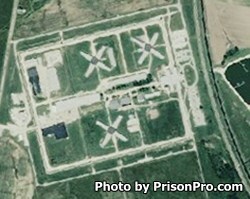 Moberly Correctional Center is a minimum and medium custody correctional facility located in Moberly Missouri. The current capacity of this prison is 1,800 male inmates. Offenders can participate in Alcoholics and Narcotics Anonymous programs. Inmates with a high school diploma can apply to work in maintenance, laundry, a metal plant, sign and print shop. During an inmate's incarceration they are encouraged to take educational and vocational courses. Academic programs at Moberly Correctional Center include an adult basic education and the ability to earn a GED. Vocational classes taught at this prison include welding, and painting. In order to visit an inmate at Moberly Correctional Center, you must first fill out a Missouri inmate visitors application. Visits occur on Fridays, Saturdays, and Sundays from 9:30am-1:30pm, and on 2:30pm-6:30pm.